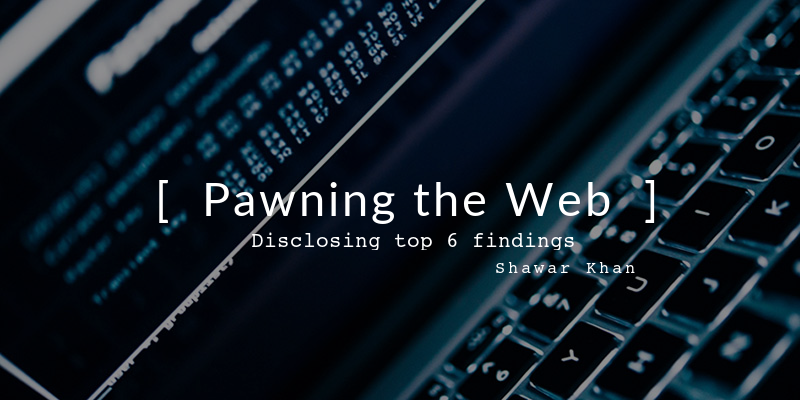 Hello everyone, this is Shawar Khan and today i am going to disclose some of my top 6 findings that i guess were interesting and useful. I am going to disclose these so the viewers can apply the similar methodology and techniques used in the tests. Firstly, i want to let you guys know that each flaw was reported to the vendors and company owners to prevent the risk and i am not going to mention the company name to prevent the reputation damage. These are the findings that i am going to discuss in this write-up, so lets start! Before we begin, i'd like to give an overview about what was done. 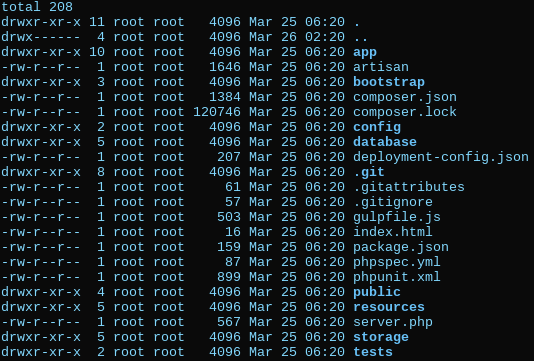 While pentesting a web application and a bit of enumeration i was able to get into area that was holding the repository where all source code of the web app was available. 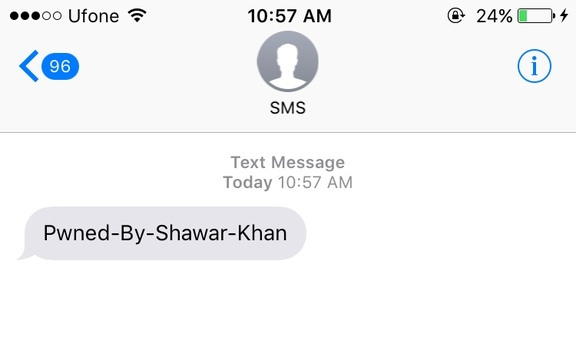 Through that i hacked into the SMS API which i will show you in a while, the SMS API was used to send SMS from a specific SMS Mask. It was actually used for sending 2FA/Activation code on mobile numbers from a special SMS Mask. After accessing the dashboard, i got access to multiple repositories and i got all the source code and files and also got access to some sensitive server information like database password and other stuff. After digging into it more, i cloned the repository which i guess was having sensitive information. The applications seems to use Laravel PHP Framework. Finally, i found 3 SMS APIs and their credentials. 2 of them were not working as one of it was deployed in the devices they use. The 3rd API seems to be working and it was having the same username that i found in config file in the beginning of the pentest. I tried using the credentials found in the source code but it was not working as the password was wrong. Bad Luck!, i tired using the password from the config file and it worked! I guess that was the new password. 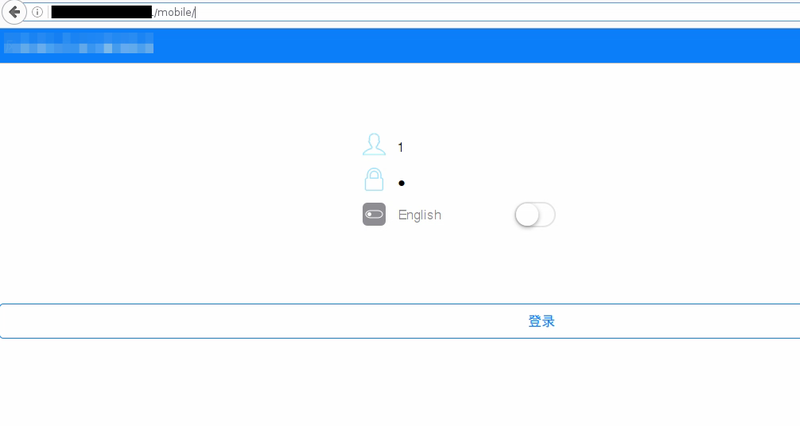 I accessed the SMS API and was able to send SMS to any number with "SMS" MSISDN Mask! It wasn't only the SMS API Hack but also i found some other serious issues that i didn't mentioned in this write-up. Just imagine the risk of leaving a file publicly available, due to that 'config' file i was able to access SMS API. So that's it! so, here is another interesting discovery. Many people asked me to disclose some API issues so i decided to disclose some interesting one. In this disclosure i found an API end point where i was able to get Information like "Credit Card Number","Location","User Information" and all other information that was used in the Payment process and also i was able to get a product for free. Whenever you are testing for API issues, make sure to get all the end points and understand the logic and flow of the application. Once you know the application flow you will be able to detect API flaws. In in web app, a registration form should be submitted in order to get to product purchase page. Once the transaction is done, an Order/Transaction ID is sent over an insecure challenge via GET method. The order ID can be stolen easily as its not securely transfered. 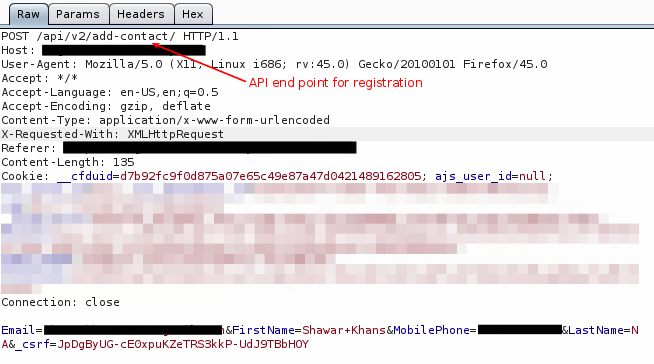 The 'get-lead' API endpoint shows complete transaction information when a Transaction/Order ID is entered, I tried some different Order IDs that i captured and i was able to get complete information of their transaction. In the above image the transaction information was of my orderId so i used null values to hide the info. I used test information just to show you how it actually works, the real information was sensitive and it can't be shown here publicly. Just by entering an Order ID we can get a complete transaction information. Thats due to insecure 'get-lead' API endpoint. An IF/ELSE condition was used in the code, if the site responds with a "usererror" or "pwderror", then it means the login was not successful and the application will execute the 'myApp.loginScreen()' which will show the login panel. 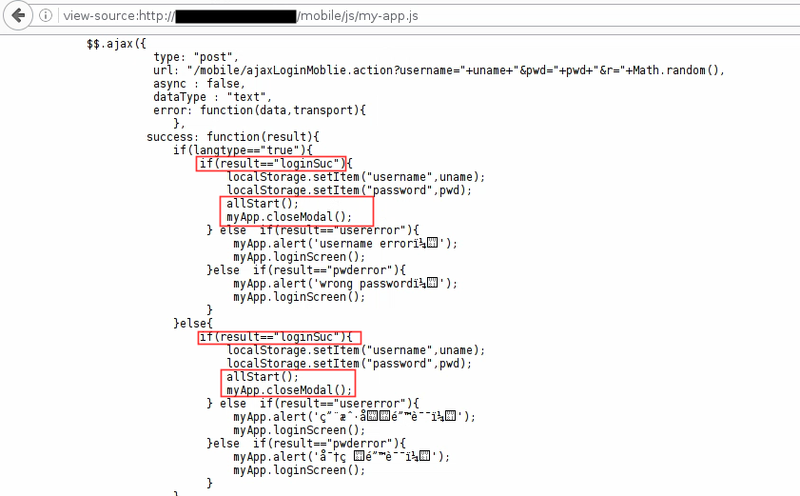 If the login is successful, the site returns a message "loginSuc" and then the application executes the "allStart()" and "myApp.closeModal()" function. 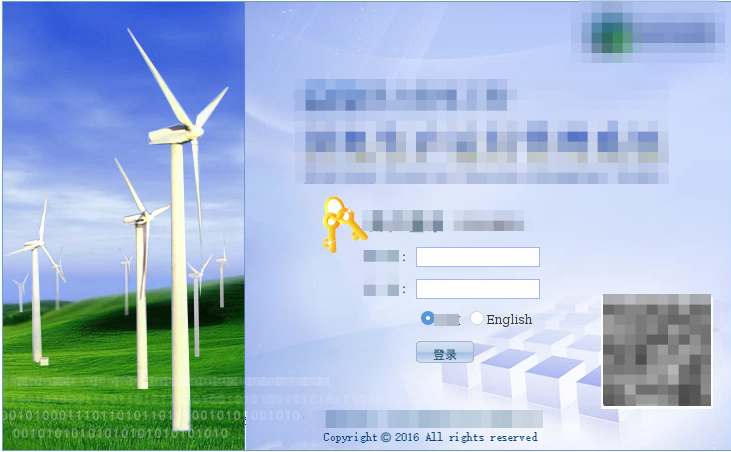 The first function accesses the functionalities behind the login panel and the second function closes the login panel and gives access to the dashboard. Time for fun! Lets Bypass the panel. 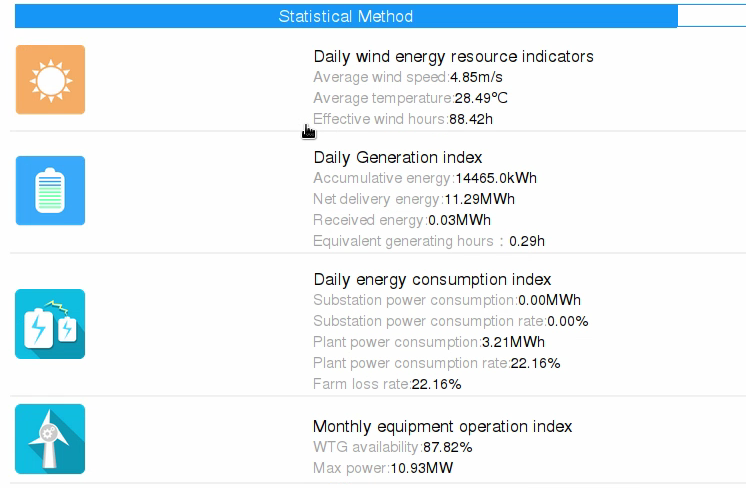 Changed the response to 'loginSuc' to fool the application and we'll get access to the Dashboard and Boom! 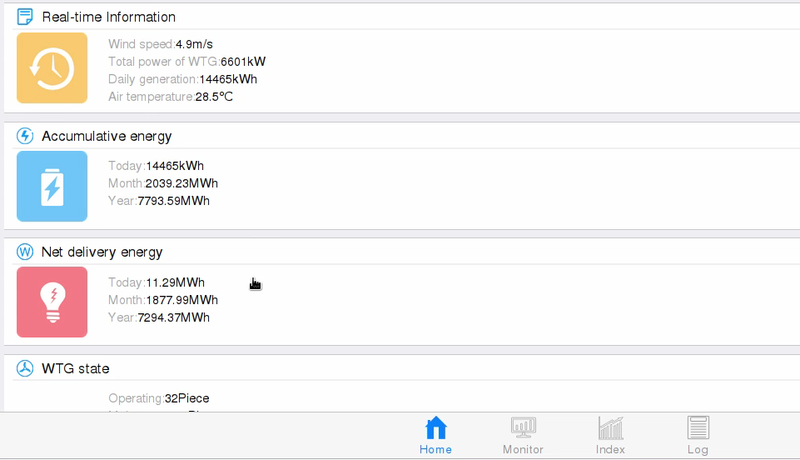 We Got Access to the Dashboard! Thats it! 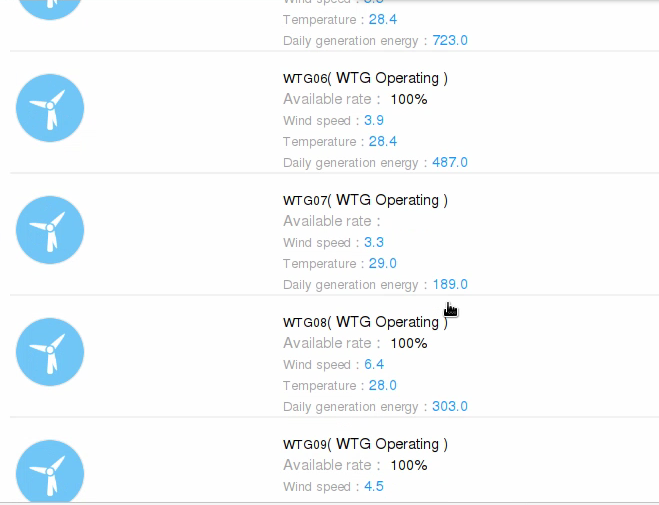 We accessed the Wind Turbine Panel! After decompiling and converting the dex files to jar i tried reading the jar file using 'JD-GUI' tool which is pre-installed in kali linux for reading jar files. 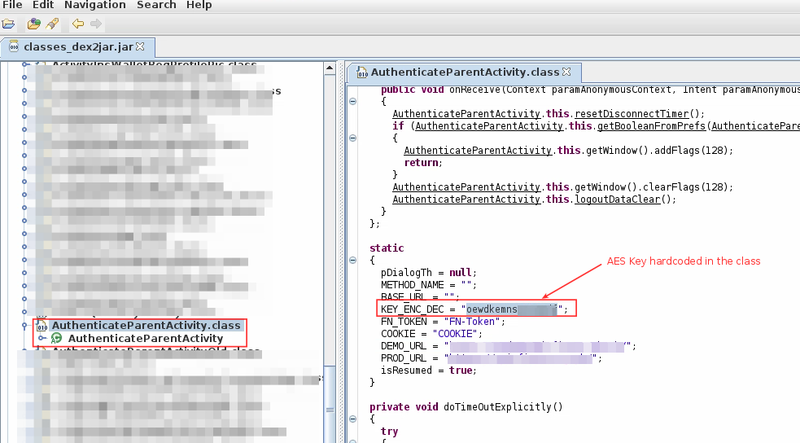 After checking hundreds of classes available in the 'classes_dex2jar.jar' file i found a class named 'AuthenticateParentActivity.class' which was having something interesting. Found the AES Key that was used for Decrypting and Encrypting the data being sent and received! Thats what we wanted and now i was able to decrypt the data being sent and received that means the communication can be read! Data successfully decrypted using the key! The key should never be hardcoded in the application or any place that could be accessed by a user. I found some more flaws after decrypting the data but i guess you've seen the interesting part! Thats how i found the AES key and decrypted the data. 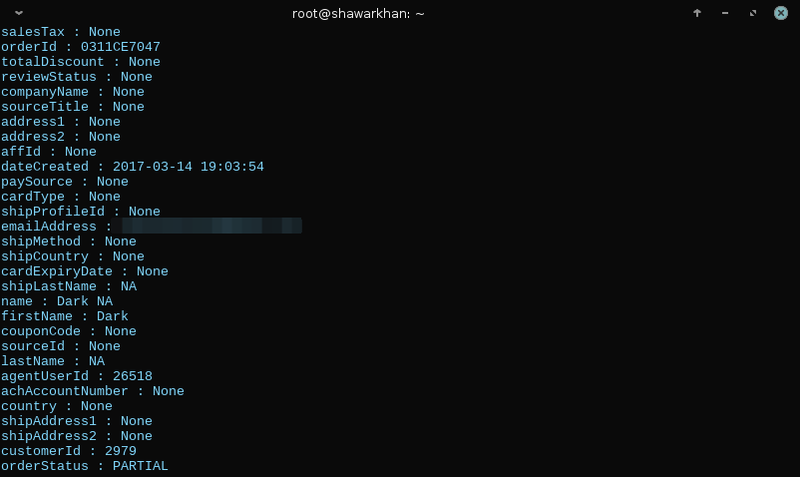 So, here is one of the best RCE i found, it was found in a famous company having almost 1million users. I was able to get into their servers by exploiting the imagemagick service being used. When testing for Remote Code Execution or File Upload flaws mostly the devs miss some points at image upload areas or profile picture change areas. Similar in this case, i found an image upload area. When exploiting ImageMagick, we have to create an image having our command which will send the reverse connection when a vulnerable function is applied on the image. one file for getting the perl backdoor from my server and the other files executes the perl shell. This will do each thing separately which will give full interactive shell. 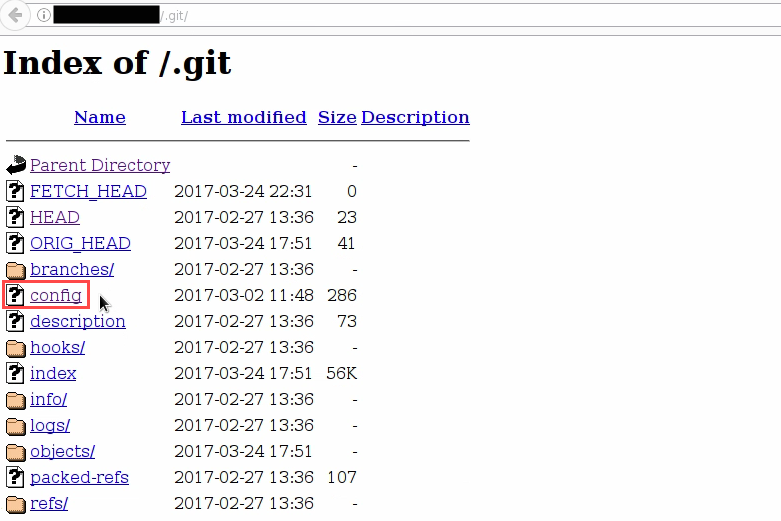 Just by finding insecure APIs in the target web application we can discover interesting issues, i hope that you guys will love this. Thanks for viewing, please share and comment if you like this write-up.